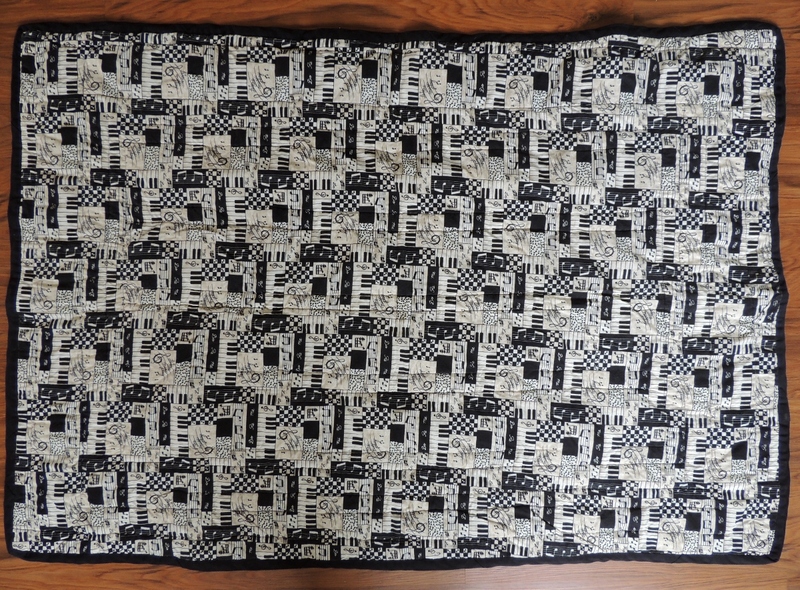 The second quilt I ever made was a Christmas present for my high school boyfriend. 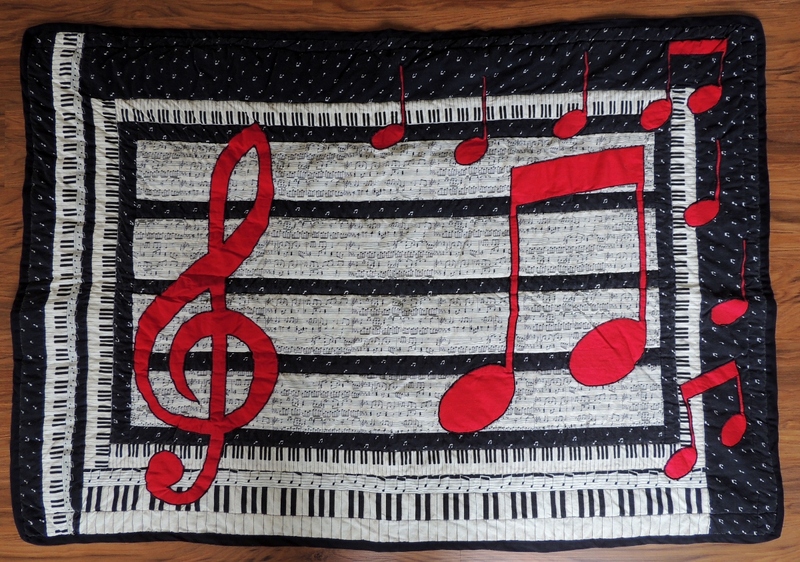 We were in the marching band together, and I made a music lap quilt. I am still friends with him, and in 2012 he found the old lap quilt at his parents house and he shipped it back to me, which was a pleasant surprise to receive! It is 54″ by 38.5″.